Sign-Up to Receive Latest Updates! Read the 2018 Post-Event Summary HERE. 2018 Event Photos on our Facebook page HERE! Thank you to the Santa Barbara Athletic Association and running community for naming us the 2017 event of the year! The Vintners 5 Miler is proud to be an SBAA Grand Prix event. The Courses: Run or Walk the Vineyard! 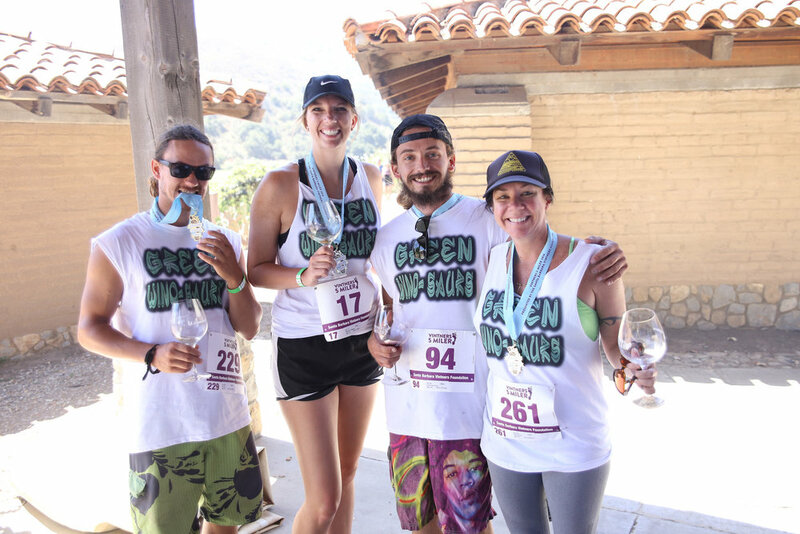 The 5th annual Vintners 5 Miler presented by the Santa Barbara Vintners Foundation is a unique trail run or walk through the Rinconada and Sanford & Benedict Vineyards in the beautiful, world-famous Santa Rita Hills. Runners and walkers will be treated to one of the most unique experiences on the Central Coast! 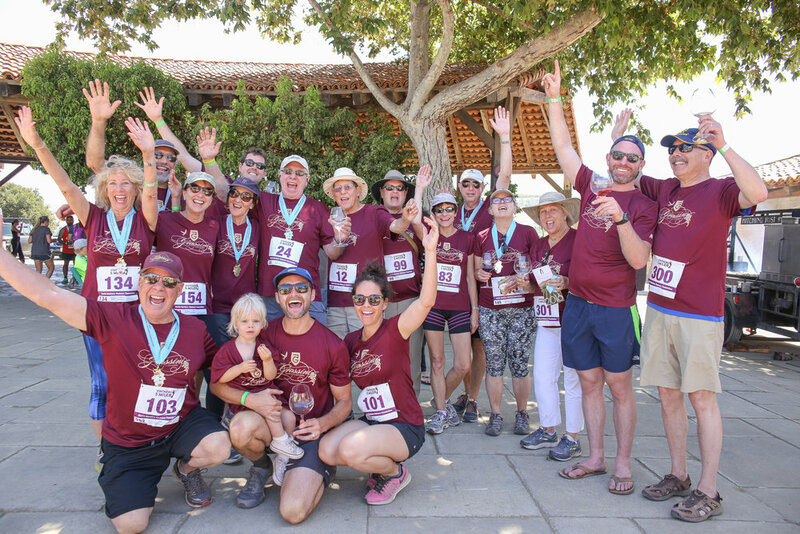 Along with the run & walk, a Finish Line Festival welcomes everyone of all ages to celebrate the coming harvest from Santa Barbara’s wine region. This can't miss festival will provide you with exclusive tastings of some of the best regional food and wine as well as live music to enjoy it with! For any kids attending there will be a family zone with games and a bounce house. In 2018 the Vintners Foundation supported the Santa Ynez Valley Community Aquatics Foundation. In 2017, proceeds were donated to the Los Alamos Youth After School Program. Visit our About page to learn more. For recommendations on your weekend stay in Santa Ynez Valley visit our Travel page for hotel specials and transportation from Goleta to Sanford Winery. Thank You Sponsors & Partners! Like Us on Facebook for all the latest events & news!